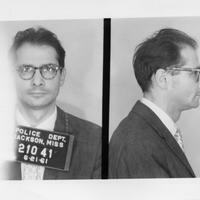 This is the arrest photo for Brooklyn CORE member Al Gordon as a Freedom Rider. 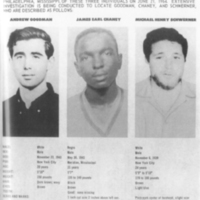 He also participated in the Route 40 Freedom Rides. 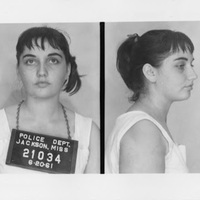 This is the 1961 arrest photo for CORE member Terry Perlman as a Freedom Rider in Jackson, Mississippi. 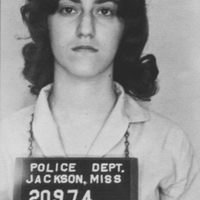 At the time, she was only 19 years old. 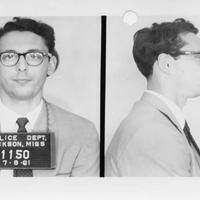 This is the 1961 arrest photo for CORE member Henry Schwarszchild as a Freedom Rider in Jackson, Mississippi. 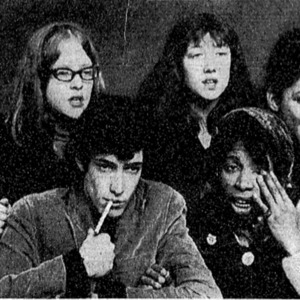 This is a 1964 photo of student protesters Daniel Opatoshu (male, center), Karen Weingeist (top right, dark rimmed glasses), Liz Pearson (top center) just before being arrested at the Florida pavilion at the World’s Fair. 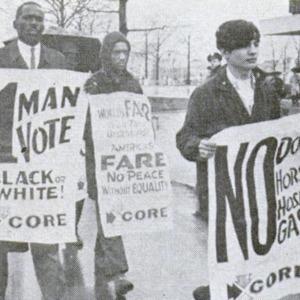 This is a photo of South Jamaica CORE member Joel Rosinsky (White, front, holding sign, ‘No dogs…’) demonstrating at the 1964 World’s Fair. 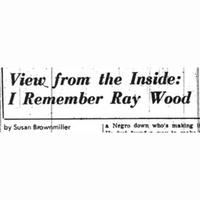 He was part of the original group that seceded from Queens CORE to South Jamaica CORE.